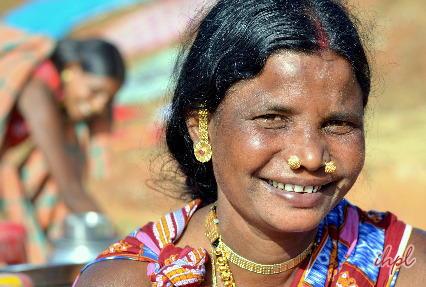 Get a step closer with the tribal life of Orissa with Rustic Orissa Tribal Tour package. 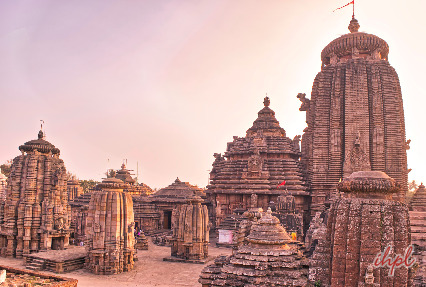 This sojourn of 10 Nights and 11 Days makes you travel all the way from Bhubaneswar to Puri, Gopalpur on Sea, Rayagada, Jeypore, and Visakhapatnam. This tour package takes you to the tribal villages and markets. Along with it, you may also explore the natural bliss of these areas. The warmth of the hospitality extended by the local tribes is simply inexplicable. These areas also have numerous Buddha monasteries and excavated sites to be visited. On your arrival at Bhubaneswar Airport/Railway Station, get welcomed by our representative and transferred to the hotel. Check in, freshen up and take a little rest. Thereafter, visit temples dedicated to Lord Shiva and Lord Vishu, like Champakesvara Siva Temple, Aisanyesvara Siva Temple, Rajarani Temple, Bharati Matha, Vaital Deula, Gopal Tirtha Matha, Suka Temple, Ladu Baba Temple, etc. This city is the Holy land of almost 500 temples. Return to your hotel, have your dinner and stay overnight. In the morning, after breakfast get ready to visit the Diamond Triangle. Lalitgiri, Ratnagiri and Udayagiri are the Buddhists excavation sites. The existence of these sites dates back to 1st century A.D. At Lalitgiri, there is a complex of Buddhist huge sculptures, engraved Stupas, and monasteries. Ratnagiri is the site where excellent sculptures, engraved with multi-colored stones, are found. At Udaygiri, there is a large compound, with arranged veranda around a courtyard of 18 cells. Return to your hotel for an overnight stay. Post breakfast, visit the headquarter of the Mahima cult, Joranda. Here, you may visit numerous monasteries and meet the monks who wear the barks of the trees. This site is a religious place as it houses the samadhi of the propounder-preacher of the Mahima Cult, Mahima Gosain. You may also take pleasure is visiting holy temples like Dhuni Mandira, Gadi Mandira and Sunya Mandira. Every year in the month of January-February, pilgrims in large number visit Jordan Fair organized on the full-moon day of Magha (11th Month of Hindu Calendar). Return to your hotel in Bhubaneswar for dinner and overnight stay. Early in the morning, visit Jain Cave. This cave nestles on the twin hills of Khandagiri and Udayagiri. This was constructed during the Chedi dynasty (2nd century BC - 1st century AD). The magnificent art work is the attracting feature of the Jain Cave. Thereafter, drive to Puri. This city is popular for its historic antiquities, architectural grandeur, religious sanctuaries, moderate climate and seascape beauty. Reach your hotel, check in, freshen up and take a little rest. If time permits, you may explore the nearby markets, talk to locals, enjoy street food, etc. Return to your hotel for an overnight stay. In the morning, after breakfast, get ready to visit the Konark Sun Temple. This temple was established in the 13th century, and was given the image of a huge chariot of Lord Surya, with 12 pairs of ornamented wheels and 7 horses to draw the chariot. Thereafter, visit Jagannath temple. 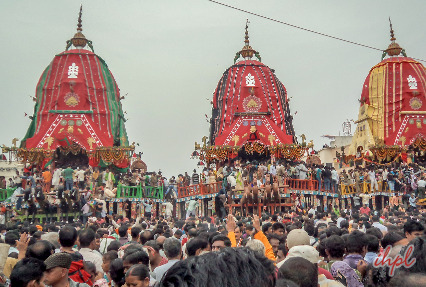 This is a very popular temple dedicated to Lord Jagannath. If time permits, also visit the sunny beach at Puri. This beach is considered as one of the finest in the world. Later, return to the hotel for an overnight stay. Post breakfast, drive to Gopalpur on Sea and Chilka Lake. Gopalpur on Sea is a retreat for sea-worshippers. This is the one of the magnificent beaches of Orissa and is worth visiting. 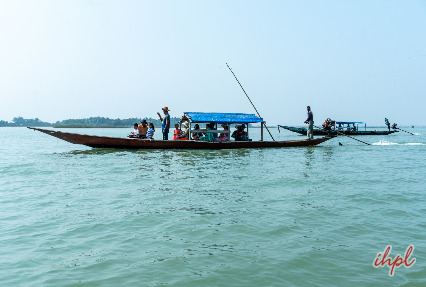 Later, visit Chilka Lake, which is divided into an outer channel with a narrow neck. This channel leads into the sea and on the other hand, the main body of the lake has a muddy bottom plentiful in organic matter. Reach your hotel in Gopalpur on Sea. Check in, freshen up and take a little rest. You may use the rest of the day exploring the nearby lanes, communicating with local people, enjoying street food, etc. Return to your hotel and halt for an overnight stay. Drive to Rayagada in the morning. On reaching Rayagada, check in your hotel, freshen up and take a little rest. Thereafter, get ready for an excursion to some of the popular temples like Laxminarayan temple, Maa Markama Temple, Maa Majhighariani Temple, etc. Nature lovers may also visit destinations like Chatikona and Minajhola. 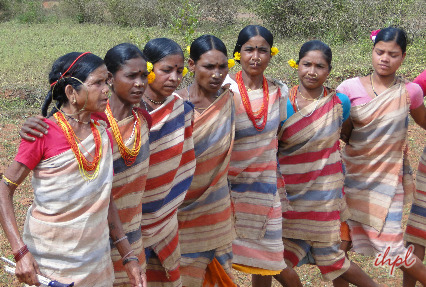 Also explore the Desia Kondh villages where you may witness the tribal culture. Witness their activities, participate in their customs and traditions, and enjoy the hospitality extended by the villagers. Later, return to your hotel for dinner and overnight stay. In the morning, visit the Chhatikona Dongariya Kondh market, explore the traditional artifacts and purchase them as souvenirs. Later proceed to Jeypore. Jeypore is the perfect destination for the nature lovers to explore. This commercial hub of Koraput district has various attractions like waterfalls, thick forest and exotic wildlife. Reach your hotel, check in, freshen up and take a little rest. If time permits, you may also use the remaining hours in interaction with locals, enjoying gradual walks down the streets, etc. Return to your hotel for an overnight stay. This day is dedicated for exploring the trial markets and life of Orissa. Post breakfast, drive to Onukudelli. Here you may explore some of the interesting markets of Bonda, Gadaba and Didayee. These markets are very popular for showcasing handmade commodities. You may purchase the handicrafts as souvenirs. Thereafter, in the evening, visit the Ollar Gadaba village, while driving back to the hotel. Enjoy the warmth of hospitality extended by the inhabitants of this tribal village. Later, proceed to the hotel, have dinner and halt for an overnight stay. Early in the morning, get ready to visit Kunduli Tribal Market, en route to Vishakhapatnam. This is a big weekly market, where you may find the beautiful Sana Paroja and Mali tribes. During the remaining hours of the day, you may visit the nearby areas, talk to local people, enjoy street food, etc. thereafter, return to your hotel for an overnight stay. Post breakfast in the market, get on-time assistance and transferred to Visakhapatnam Airport/Railway station to continue with your onward journey.